Into the life of every small business, a little rain (and debt) must fall. However, if you have numerous debts from loans, credit cards and other outstanding balances and you are finding it difficult to keep up, a debt consolidation business loan could be your way out. When you have too much debt, you may get into the habit of skipping payments or paying late. This will actually increase the amount you owe and trap you in an endless spiral of debt. A debt consolidation business loan is a method of taking all of your existing debt and combining it into one loan instead of several loans, making your payments easier to manage. Where Can You Go for a Debt Consolidation Business Loan? There are many companies offering debt consolidation help for businesses. Nonetheless, it is important to do your homework and find the option that is right for your small business. 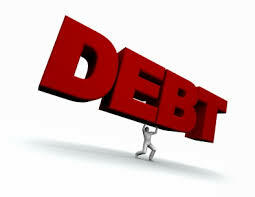 A debt consolidation company can help you by negotiating for a new loan, hopefully at a lower interest rate. They will work with your creditors to try and bargain for more favorable terms and find secured or unsecured loans that are available. You can find several websites that provide a debt consolidation business loan calculator, which allows you to fill in numbers and determine the amount of your new monthly payment. This could help you decide if a debt consolidation business loan is a feasible choice for you. Are There Any Alternatives for a Debt Consolidation Business Loan? For many years, alternative lenders have been coming to the rescue for businesses facing financial hardships. In fact, more than 70 percent of businesses use these companies for their small business financing needs. Financing Solutions (www.fundmypayroll.com) is one of them. They will help your company get additional funds so you can pay off your existing loans and make it easier to run your company. With Financing Solutions, you simply sell some or all of your account receivables and receive cash now based on a percentage of their value. It only takes 15 minutes to apply and, after providing supporting paperwork, you could have money in your account in less than 48 hours. In the long run, debt consolidation can help you save money. For example, the faster you pay off your loans, the more money you save because you will not have to pay the traditional late fees and penalties that come with borrowing funds. Another benefit is that with debt consolidation, you only have to make one payment, instead of several smaller ones. This makes it harder to forget a payment and less likely that you will fall into the old trap of juggling payments, paying a little here and there but never the complete amount, which only serves to get you deeper in debt. With debt consolidation, your monthly payments have a fixed amount. This can be helpful because there are no unexpected increases, making it easier to budget and having a budget is one of the best ways to manage your money. In addition, you only have to deal with one creditor instead of several. Perhaps the biggest benefit of debt consolidation is peace of mind. You can get there quicker with instant business funding from Financing Solutions.